It’s an exciting time for the chocolate industry in the UK with the rise of boutique chocolatiers and our own bean-to-bar producers. Enjoy the sweet life for a day by discovering more about one of our favourite treats. Chocoholics will love this niche show entirely dedicated to chocolate that’s held at London’s Olympia. 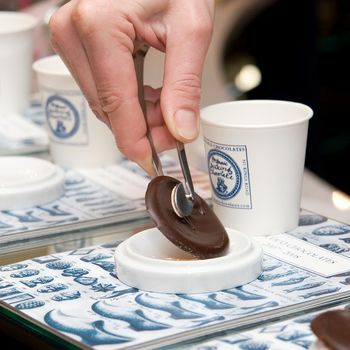 It’s where Britain’s finest chocolatiers show off their delectable creations and it’s growing in size every year. With plenty of opportunities to taste and learn, there’s something for everyone including a Chocolate Fashion Show and chocolate show pieces. I really enjoyed meeting Britain’s bean-to-bar producers , hearing their stories and tasting their single origin bars. It’s great for gift buying too. The Chocolate Show programme changes every year so be sure to consult the show’s official website. 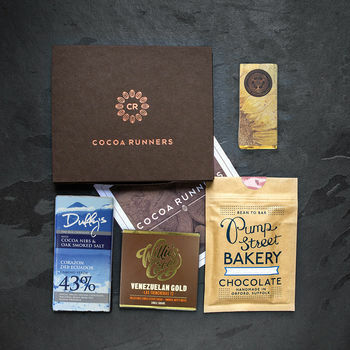 In recent years, new characters and personalities have had a huge influence on the chocolate scene in the UK, previously the domain of large scale manufacturers. They’re instrumental to the success of the Chocolate Show where they all actively participate in workshops and discussions providing inspiration for budding chocolatiers and chocolate enthusiasts. Meet people such as Chantal Cody, the founder of Rococo Chocolates, rumored to be the inspiration behind Joanne Harris’s best-selling book ‘Chocolat’. It later became a film starring Juliette Binoche (some of the scenes were filmed in the farm buildings at Hauser & Wirth in Somerset). Look out for the flamboyant Paul A. Young with his moustache and waistcoat who is renowned for experimenting with unusual flavours such as marmite and slow-roasted garlic. Ever wondered how chocolate is made and where it comes from? Discover the journey from bean-to-bar and the processes along the way such as conching and tempering required to make a bar of chocolate. Sign up to a truffle workshop with L’Atelier des Chefs and make delicious artisanal truffles. Children can take part in lollipop and chocolate bar making workshops run in partnership with the York Cocoa House. Taste the difference between chocolate made using beans from Madagascar compared to beans from Grenada. Try different pairings with chocolate. Previous shows have included a whisky and chocolate tasting session where participants tasted among others, a smokey Talisker (matured in a Port cask at the only distillery on Skye), paired with Rococo’s award-winning Madagascan (64%) house truffle. 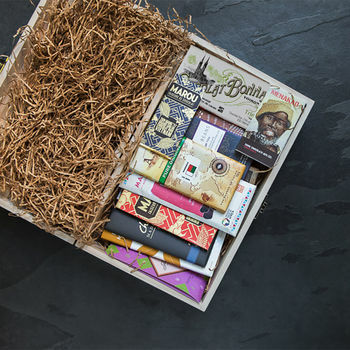 For gifts, take a look at the creative range produced by Hotel Chocolat (they even produce a cocoa-infused gin). Buy chocolate from a UK bean to bar producer such as Duffy, who made the unusual career change from Formula One racing engineer or try the honey drinking chocolate by Hans Sloane. It’s named after the man responsible for bringing the recipe for milk chocolate to the UK who was also a benefactor of the Chelsea Physic Garden. Don’t be tempted to pair dark chocolate with a full-bodied red wine. Apparently with this combination, the strength of the tannins impairs the flavour. 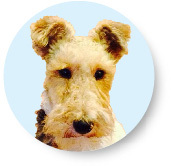 They tell me that it’s guide dogs only at The Chocolate Show. Find more Foodie Things To Do in London. 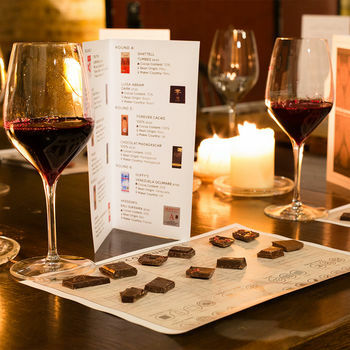 Discover more Chocolate Tasting Experiences.